The Marketing Leader – head of a region, brand, or channel – shares many of the same responsibilities as the CMO, only for a smaller scope. She’s accountable for her team’s performance and contribution to the company, and needs the resources and insights to make the most of those. Read this tip sheet to find out how Allocadia helps Marketing Leaders reach their goals. 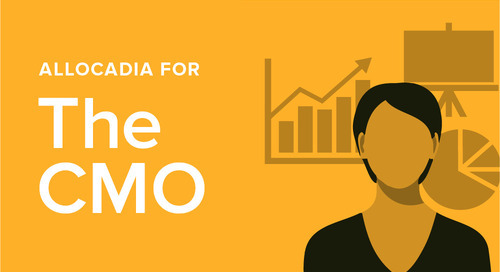 A one-page tip sheet outlining how CMOs will benefit from Allocadia. 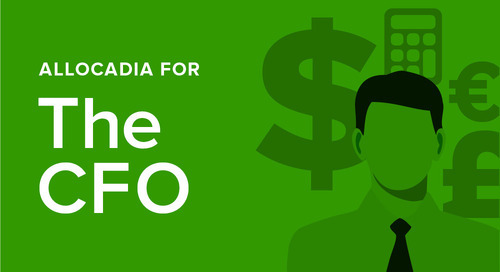 A one-page tip sheet outlining how CFOs will benefit from Allocadia. A one-page tip sheet outlining how Marketing Operations professionals will benefit from Allocadia. A one-page tip sheet outlining how field marketers and other marketing pros will benefit from Allocadia. A one-page tip sheet outlining how IT professionals will benefit from Allocadia.